The political crisis in Venezuela did not generate - so far at least - a significant rise of oil prices on world markets, Francis Perrin Senior Fellow at the Policy Center for the New South (Rabat) and at the French Institute for International and Strategic Affairs (IRIS, Paris) told Trend. - Venezuela's crude oil production will very likely go on falling in 2019 as it has been the case since the beginning of the century. This output did not exceed 1.25 million barrels per day at the end of 2018 as against about 3 million b/d at the end of the 1990s. The worsening of the political, economic and social crisis in Venezuela will have a strong impact on the oil sector, oil production and oil exports. - Growing financial problems for the national oil company PDVSA will reduce further its investment capacity and its ability to pay oil service companies. - And oil workers, engineers and managers will go on leaving the country as the number of refugees and migrants will grow (according to the United Nations the number of Venezuelan refugees and migrants is now about 3 million and could reach 5.3 million at the end of 2019). 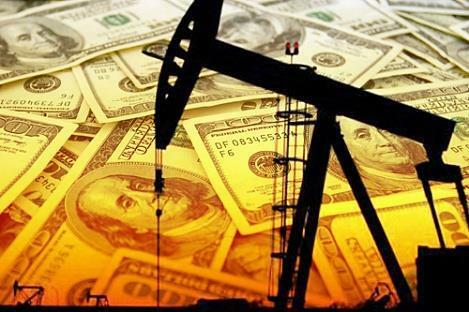 - Rising tensions with the US will make it more and more difficult for oil companies, oil service companies and financial entities to work with the Venezuelan authorities. Increasing political risks and uncertainties will have a similar impact. - It is likely that the US will adopt new economic sanctions on Venezuela. He pointed out that a falling oil production in Venezuela will improve the situation for the OPEC+ countries (OPEC countries and 10 non-OPEC countries), which began reducing their oil output since 1 January 2019 in order to push oil prices upwards. "The goal is a 1.2 million b/d production cut, of which 800,000 b/d for OPEC and 400,000 b/d for non-OPEC countries. US sanctions against Iran will also contribute to this downward impact on world oil supply," the expert concluded. Venezuela is embroiled in fast-moving political crisis, after an opposition leader stood in the streets of Caracas on Jan.23 and declared himself as the rightful interim president. A flurry of world powers, including the US, immediately backed Juan Guaido, prompting a furious response from President Nicolas Maduro. The socialist leader broke diplomatic ties with President Donald Trump's administration on Wednesday, ordering all U.S. diplomatic personnel to leave the country within 72 hours.